It has been two years since the Swinging Popsicle has released the album, "Go On". The release of their new album "LOUD CUT" started from a PC game called "Sumaga", for which they've been working on the theme song. "LOUD CUT" not only has the theme song in its tracks, but also arranged tracks from the original soundtrack, with lyrics and vocals. Despite the consequences for the starters of the album, this is truly original album of Swinging Popsicle, not an arranged album of a PC game. The latter tracks are full of their original tunes, including retakes and remastering from previous albums. The retakes are recorded in a mono-mix, which shows their enthusiastic pursuit in creating better sounds. That's how Swinging Popsicle is, isn't it? Needless to say, the album is full of "Popsicle-World", nobody will doubt calling this album as a new release of Swinging Popsicle. When I first listened to the CD, it was so Popsicle-like that I didn't even imagine this album started out from a game soundtrack. I was lucky to have the opportunity to directly interview them and they lead me deep in to the world of "LOUD CUT". I hope this behind-the-scenes interview will make you dive in more deeply to the world of "LOUD CUT" as well. - This article is an English translation of the article open to the public on September 15, 2009. --- How did this recording of "LOUD CUT" start out? Did it start out from you working on the theme tune of the PC game "Sumaga"? Hirata : Yes. We were working on the theme songs of "Sumaga" and "Sumaga Special". The popularity of those games were high, and thanks to the players, the soundtrack that we worked on was evaluated highly as well. So we came up with this idea. Why not make a spin-off as a conceptual album by Swinging Popsicle? --- Was it recent that the single LP "Perfect Loop", the theme song of "Sumaga Special" was released? Hirata : Sumaga's theme song "(a) SLOW STAR" was released last year and Sumaga Special's theme song "Perfect Loop" was released this June. --- So, were these two tunes originally composed as a single LP in mind? Hirata : Yeah. Actually, these two tunes were not released as a single LP, but it will be included in the soundtracks of the game. --- What were the consequences in accepting this theme song offer? Hirata : Ok. There's this game label called "Nitro Plus" that's known for seriously working on good soundtracks. We got an offer to work on just a theme song for their game, but eventually the offer turned into us creating the whole soundtrack of the game. Since our pop-music-based approach in composing music is different from the other composers who specialize in soundtracks only, our approach seemed to have sounded very vivid and fresh to the players. There's this grammy-award-like event on the web, voted on by the users of a website called "2 channel", and our tracks won the honor to be voted as No.1. Despite their efforts to compose good sounds, Nitro Plus's game has never received the No.1 award, so this was their first time. Therefore, it was pretty nice to hear this news for us and them. Hirata : Yes. There's this unique market, or I may recall it a "culture" amongst the field of game biz. We learned a lot from this fresh experience, as we've been only staying inside the music scene, didn't even know this whole new world. 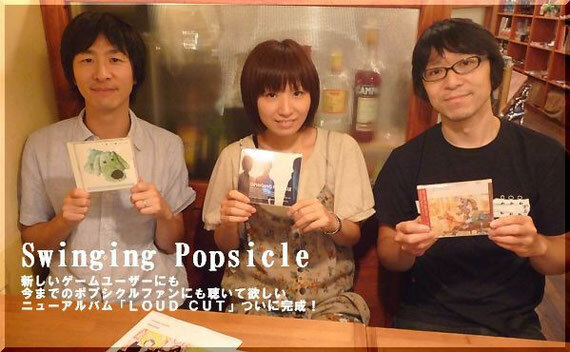 --- How much was Swinging Popsicle involved in the original soundtrack of Sumaga? Hirata : Precisely, it was only the theme song that Swinging Popsicle as a whole band was involved in the original soundtrack. I personally was the overall composer of the original soundtrack and amongst the songs, I've asked Shimada to write some of them as well. --- Then, I'd assume the whole stuff must be full of Popsicle music? Hirata : Mostly, but some other artists have joined the project as well. 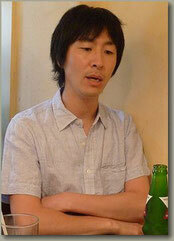 For example, Kenichiro Mizobuchi (a.k.a. Qube, ex. Cellophane member. He's currently a drummer in the band "Castanets"), and one other girls pop band aside from "Castanets" are involved. Oh yeah, and also artists like Kenji Ootsuki and Kanako Ito, the big names that you see in the Oricon (billboard-like music ranking charts in Japan) are even involved as well. --- Was it you who chose those artists? Hirata : It was basically prearranged, except for Qube, who I've introduced to Nitroplus. --- About the theme song. Did you get any requests from Nitroplus about the image of the theme song when composing? Hirata : Well, anything that grooves is always the best. Fujishima : We've got a lot of requests about the lyrics. When we were composing the "(a) SLOW STAR" for Sumaga, the lyrics were pretty much constrained by the concept that they already made for each chorus. It was pretty tough for me, cause I've never had offers in composing under a strict prefixed constraint like this. However, when the work was finished, it was highly evaluated and Nitroplus was very satisfied with the tune that we composed, just as they've been imagining. I've learnt a lot from the procedure in composing the theme song from Sumaga. Therefore, when I got the next offer for the "Sumaga Special" this year, they allowed me compose as I want to do, pretty much. --- When composing each tune, did you get a chance to see the PV beforehand? Fujishima : Nitroplus gave us the whole script of the game with the designs of the characters, so what we did to get a image in composing was to read deeply into the script, using and extending our imagination fully. --- Once you know the abstract of the story, there may be another image from the lyrics. Fujishima : As it's a original soundtrack for a game, my goal was to give a vibe to players' emotions, make them even cry cathartically if possible. It was the same in writing the lyrics as well too. --- That sounds pretty different from how Swinging Popsicle has been composing its tunes. Did that new approach bring you fun and new findings in composing? Fujishima : It was a tough job, but yes. The core objective in this offer was to match the tunes to the concept of the game as much as possible, but it was difficult to make a consensus on that when we first started. When we first composed the "(a) SLOW STAR", there was a big struggle within us. The tune will be credited as "Swinging Popsicle", but we've had this thought that this offer is not just composing a theme song for a game, but it is also one of the tunes for "Swinging Popsicle". Therefore, there was this struggle whether we should match to the concepts of the game, or to do it in our Popsicle-way despite its mismatches. So it was really hard for us to even add one single word on the lyric, but as the composing proceeded on, it became clear that we shouldn't do it in our style, but to match to the image and the concepts of the game. The struggle eventually was sorted out inside myself, cause it sounded more nicer that way. 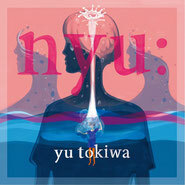 --- How about requests about the image of the soundtrack? Or was it left to your decision? Hirata : Well, there was this quite large image. For example, taking the tune "Good Time", we got request to make it "pop but a bit fancy, just as Swinging Popsicle is". Then, it came up to my mind that Shimada might cook up these kind of tunes better than I do, so I allocated those tunes to him. --- What was the image while making the tune "Good Time"? Shimada : I've made it so that it's gonna match one of the girls in the game. Nitroplus gave me some vague keywords in composing like "a bit bossa-nova like" or something. Based on that, I've added my taste in composing, expanding my image to the tune. 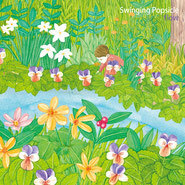 --- How does it feel like to get requests, differentiating from the usual way of composing in Swinging Popsicle? Shimada : Actually, as the concept is already prefixed and vivid, it's easier to expand the image and make it into the actual composing. When it comes to composing in Popsicle, there's too many variations of concepts so that we'll get lost. Just like when you're lost thinking about your next move in chess. But as the character was all set, composing wasn't that hard. Maybe I'm better in composing under constraints like this, lol. Composing in Swinging Popsicle-style is also fun as well, cause we always change our ways of composing through trial and error, so it's a totally different dimension of having fun. Though, it was fun this time. --- There's four tunes that have the lyrics are added to the instrumental tracks, but what brought you to that idea? Did it come from the idea of starting the album from the theme song of Sumaga? Hirata : Well, well. I've been having the belief since last year, challenging actively on new things that I haven't done. For example, doing live performances in Mexico, or holding a one-man show two days in a row. Challenging with game soundtracks was one of those, and adding lyrics to the BGM was one of them as well. I just simply wondered how Fujishima's voice would sound like, cause we've never tried these attempts. Therefore, we've brought this idea to the company and it went on like "Hmm. Nice, why not do it?". --- How did you put lyrics to the BGM, Fujishima-san? Fujishima : The orders of the tunes of "LOUD CUT" is chronically ordered, divided into chapters. The first part is Sumaga related tunes, instrumental tune as a interval, latter part for our original tunes. Most of the Sumaga-related tunes are of course matching or deriving from the images of the game. "Seijaku to Ryusei" is the only exception, as the tune was brought from the numbers of "Auroranote", where Hirata used to belong. So for that tune, I just simply used the lyrics which Yoshida of Auroranote has written. The lyrics for the other Sumaga-related tunes were written with the image of the game in mind. --- So, lyrics and the game isn't totally separated. Fujishima : Yes. It's not strictly matched like the theme song, but they leave a little taste of the image of the game. --- I've heard that "Kururi Sakura Hirari" is the tune written for Kanako Ito, who's pretty famous in the field. Hirata : Kanako Ito is the poster singer idol of Nitroplus, she even sings in big events like Summer Sonic for Anime-tunes, which is held in Saitama Super Arena. A project popped up to write a song for her to sing, and that was "Kururi Sakura Hirari".